It felt like I hadn’t really been crafting much lately but then I realised that I’ve made three beanies in the last month or so. One pure wool chunky knit for Charlie to double up with his pure baby alpaca beanie on the super chilly days. 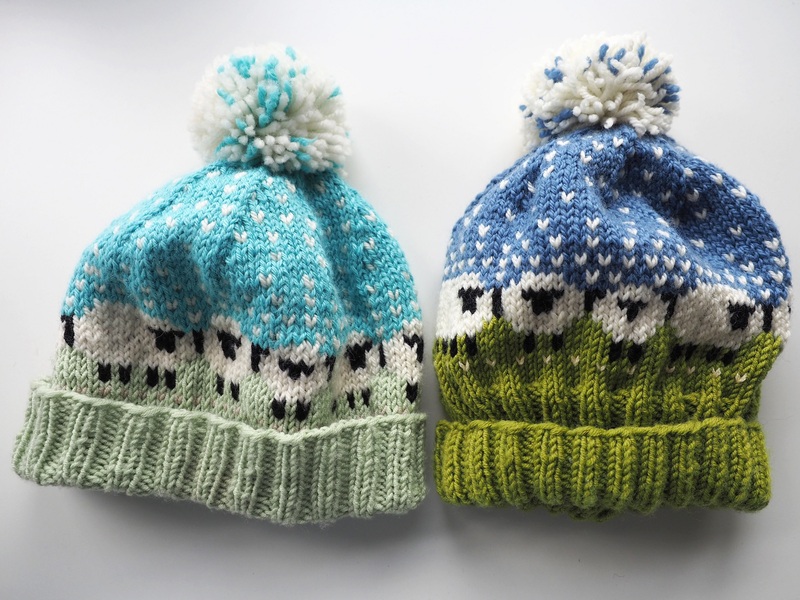 Both of these beanies were made with the ace “Farmer Boy Beanie” pattern from the lovely Kate at Foxs Lane. Thanks Kate, this is my go to beanie pattern now! Plus I’ve made two Baable Beanies. And I’ve cast on a third! 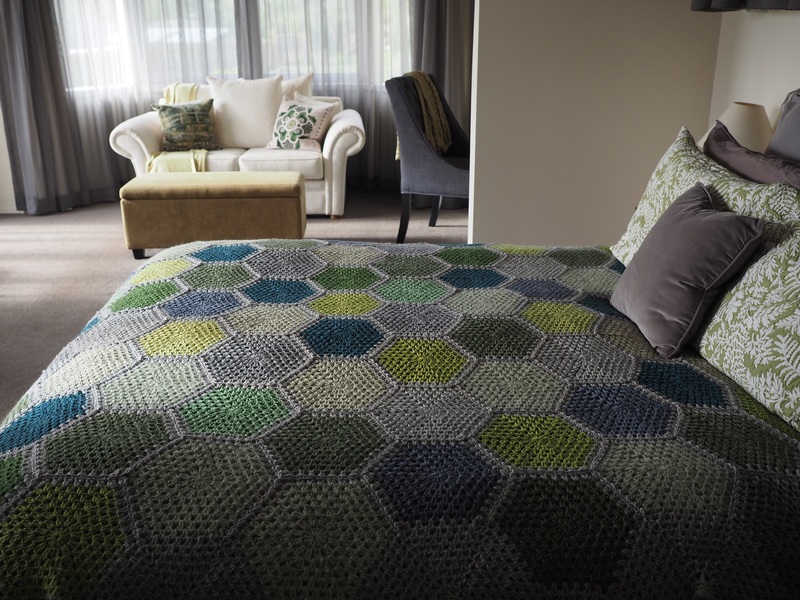 Such fun to knit something like this and watch the image appear as each row grows. It is a pretty easy pattern to follow, even for the pattern challenged like myself, I managed to make it without one single #%$@&*!!%!! moment. 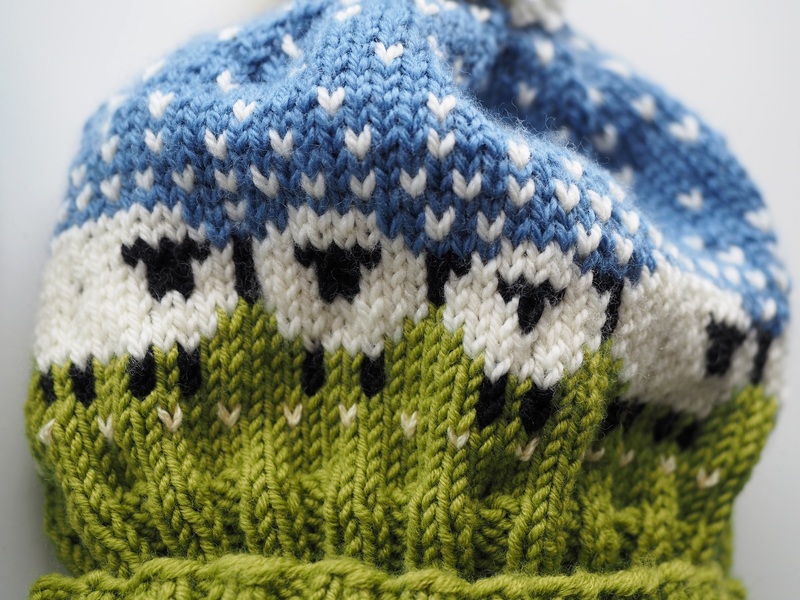 I think I originally spotted the beanie on pinterest but have tracked back to find the creator of the pattern here. 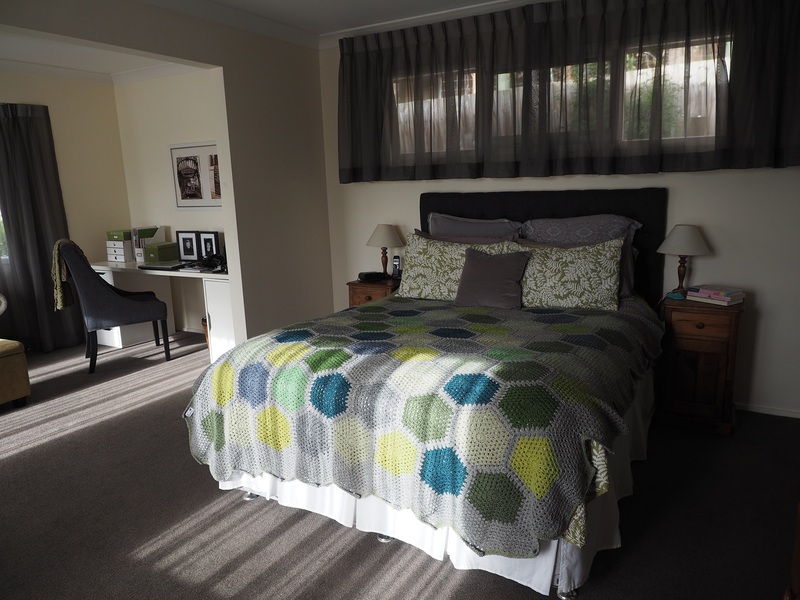 Thanks for designing such a cute pattern Donna! 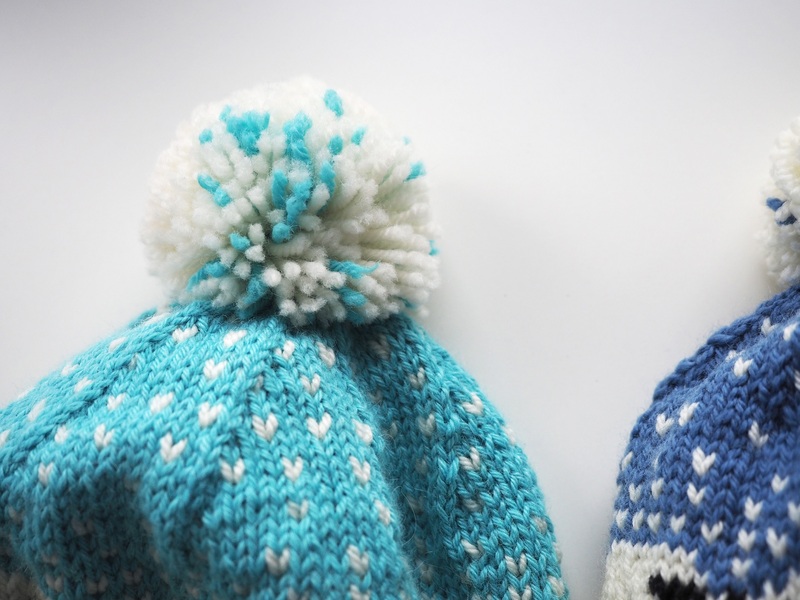 The beanie with the darker richer colours is all pure wool, and the lighter shade beanie has a mix of pure wool and pure baby alpaca yarns, including some of my special baby alpaca I brought back from Peru. I didn’t have the same ply yarn the pattern requires, so I knitted the lighter shade one first, with 8 ply not 10 ply but used the needles recommended for the 10 ply. This produced a nicely fitting beanie, but not surprisingly it was a little too loose in the tension. The darker shaded beanie was knitted with 8 ply and finer needles, 3.75 for the rib and 4 for the body, and it turned out perfect! Lovely tension and a great fit. The whole gauge and swatch thing isn’t my favourite part of knitting, kinda does my head in to be honest. 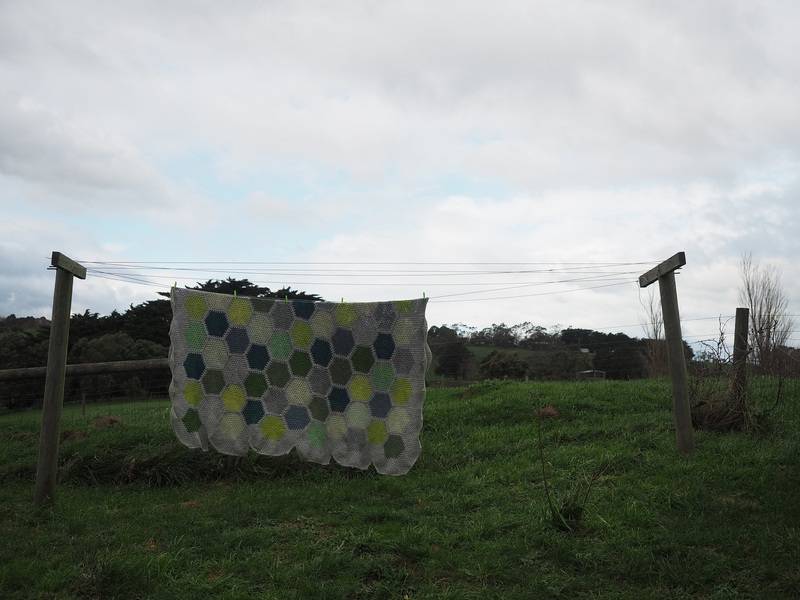 In fact I think that contributes greatly as to why I feel a bit antagonistic towards patterns. 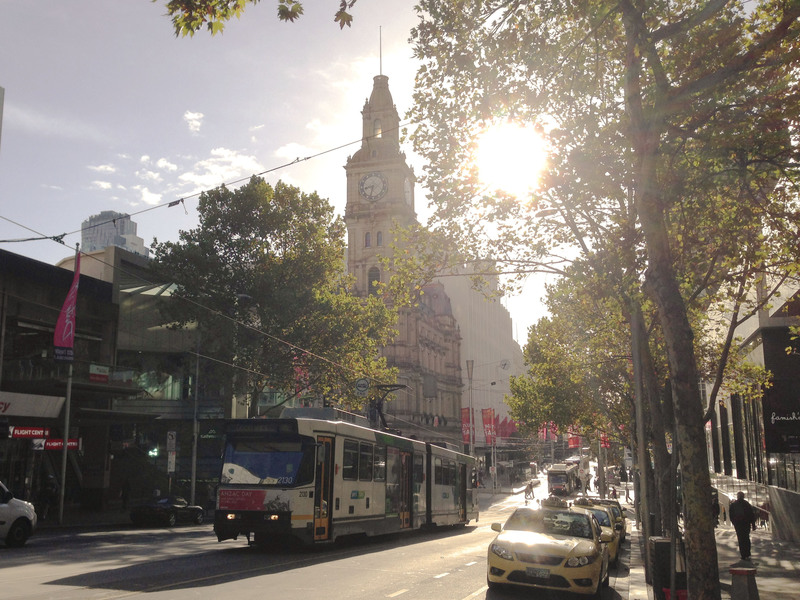 So I just do what I usually do – fluff and bluff my way through till I land where I’m happy. Not the most efficient path at times but that’s the way I roll. 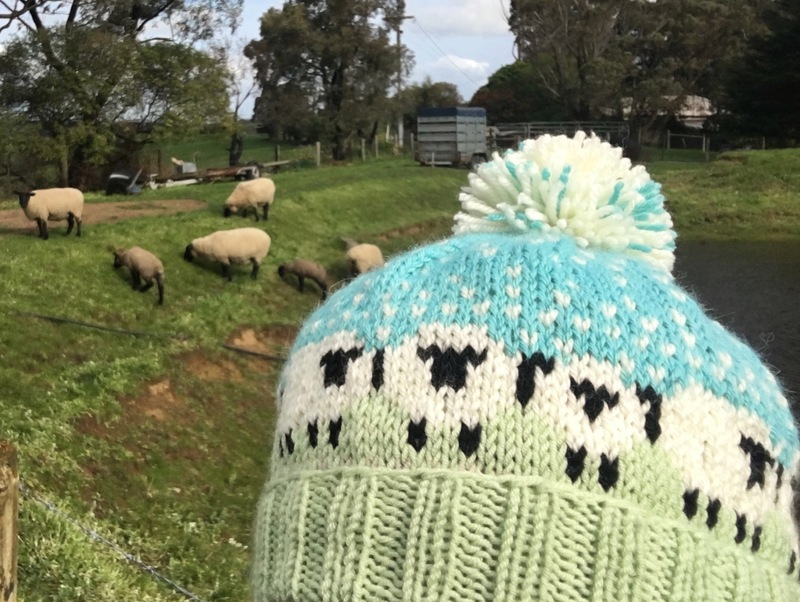 I love that the Baa-ble beanie has Suffolk Sheep in it, with those being the sheep that roam around our home. 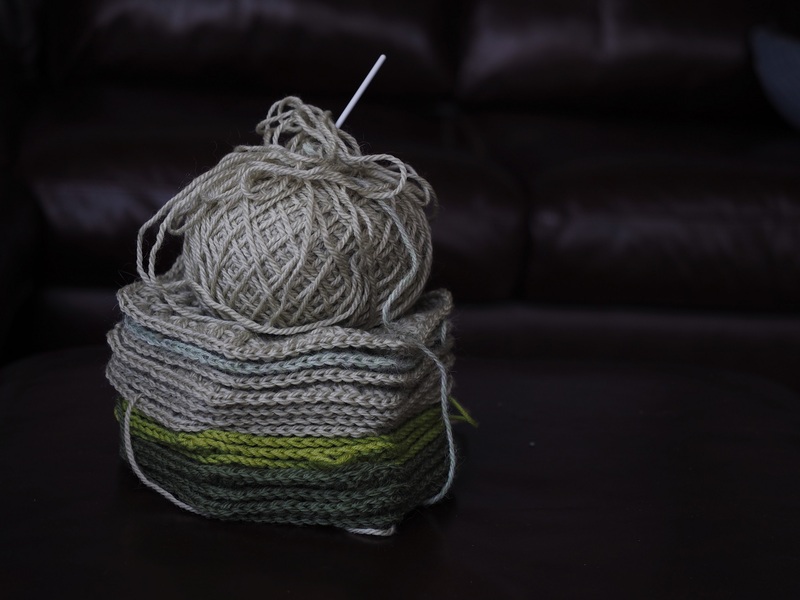 It feels like I’m knitting exactly what I’m meant to be knitting. I guess I’ll have to find an Angus Cow pattern next. And just as I typed that two ducks flew by the back door, so ducks too! Sheesh, October came and went in a blaze of glory didn’t it? Lots of hazy days, stressy days, sick days, detailed days, planning days, crafty days, gardening days and emotional days all steamrolled me through to here, and today I can finally draw a breath and share some happenings and makings. 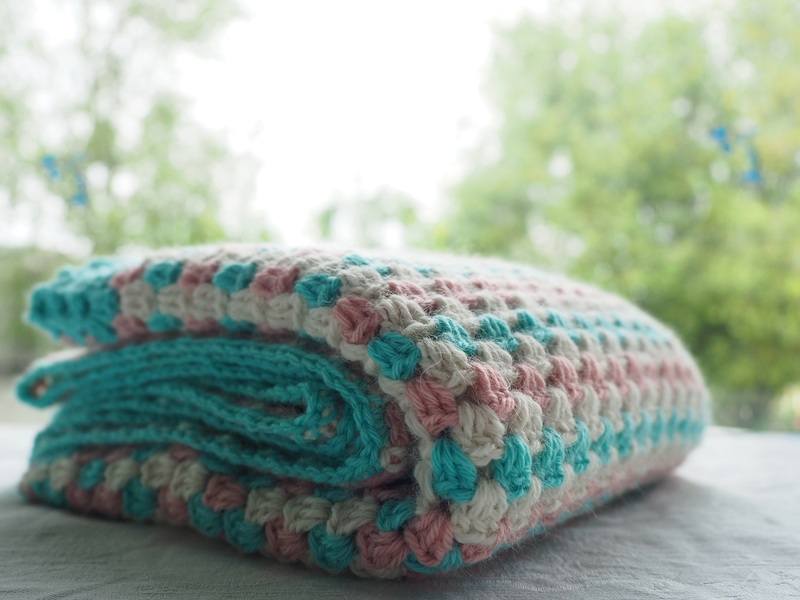 I finished my “Craft for the Soul” blankie. I kinda followed the pattern in the book (thanks Pip!) with a big stash of the soft baby alpaca yarn I brought back from Peru last year. It has the most delicious drape being all made with alpaca and is surprisingly light considering its decent size. One day I will actually get around to updating my shop with some new makes, its been terribly neglected for quite some time now, but hopefully you’ll see it in the shop before too long… unless I decide to keep it… I mean it is pink and aqua alpaca! 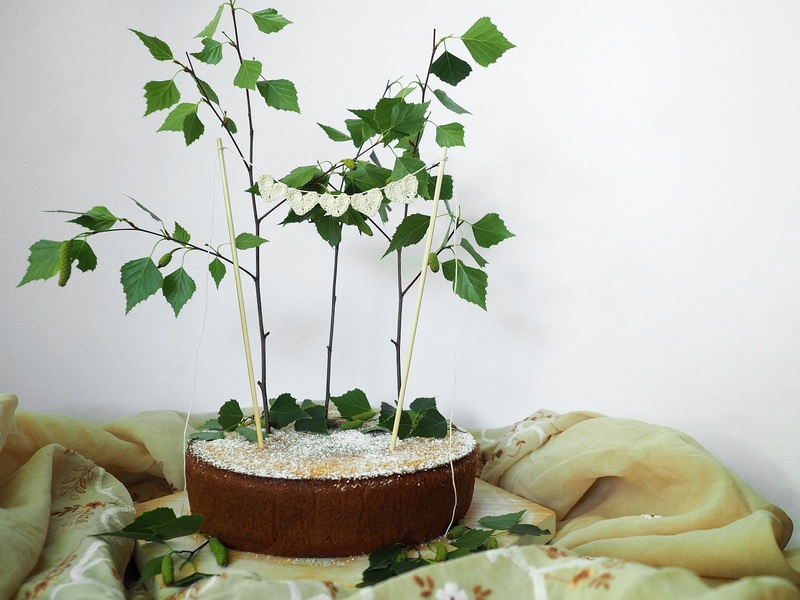 The wilds of spring brought with it fruit feasts and cakes and birthdays and parties and peonies too. 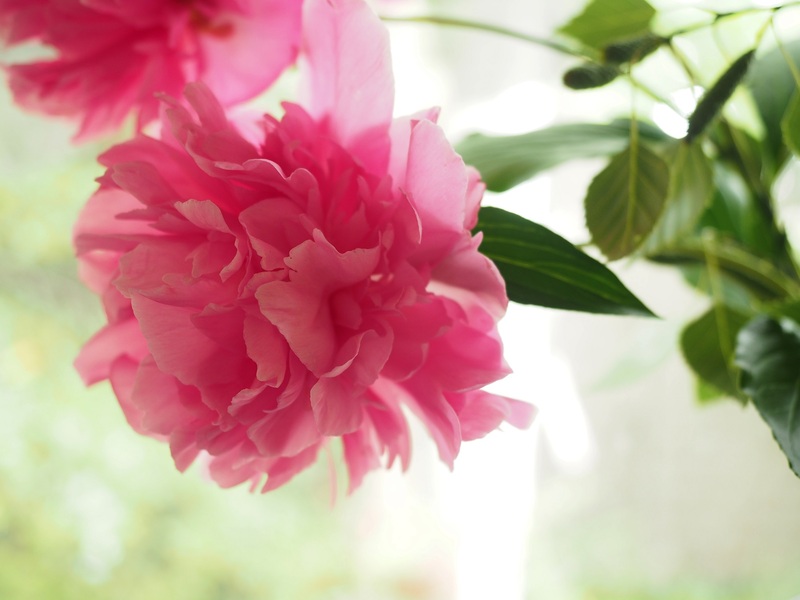 I find those delicate petal pom poms are such a delightful greeting after a stressy day in the office and can be found burying my head in one upon arriving home from work. That and a little watering of the veggie patch is my detox from the computer screen filled days at work, it’s grounding and I feel like a new person when I walk back into the house. 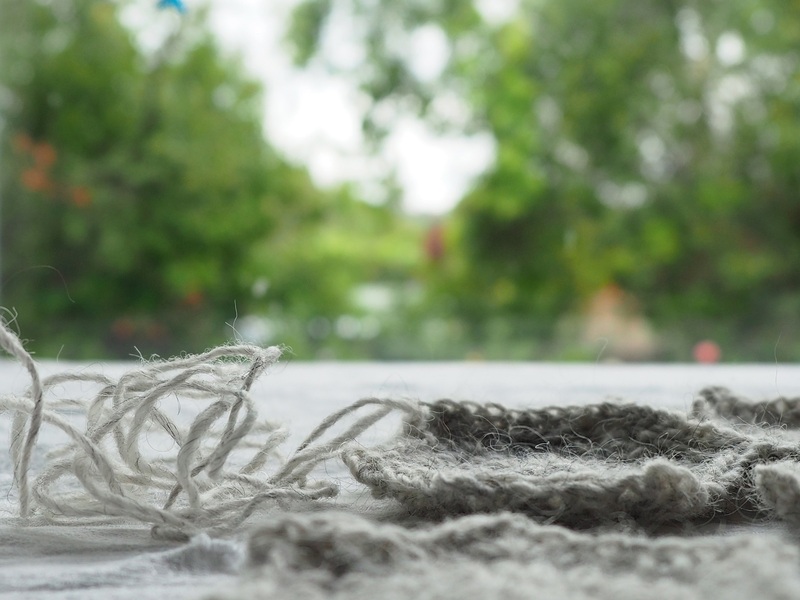 The gorgeous textural grey wool came all the way from Iceland, my newlywed daughter and son-in-law brought it back for me during their elopement trip there in July. 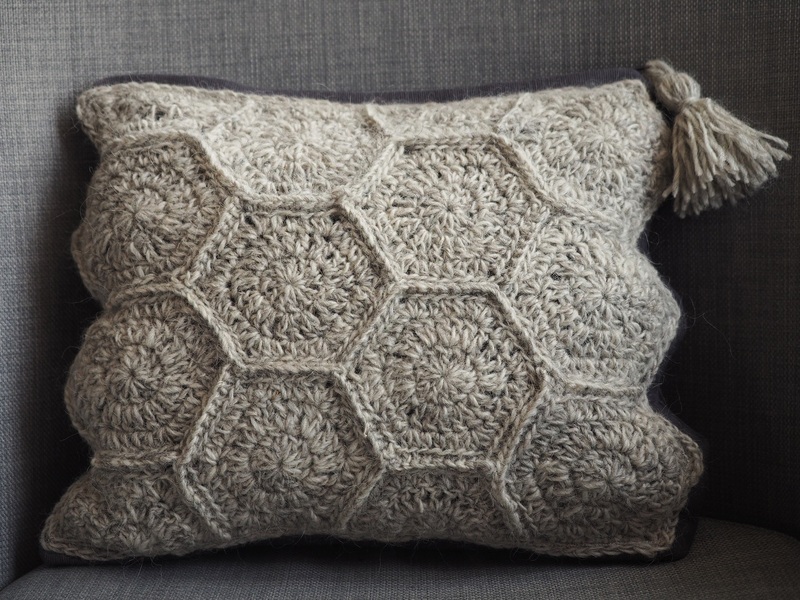 A bit like the Icelandic sheep, this is a rough and rugged wool and I thought a cushion would make the perfect gift for them, you know a little bit of their Icelandic trip on the couch with them every night. 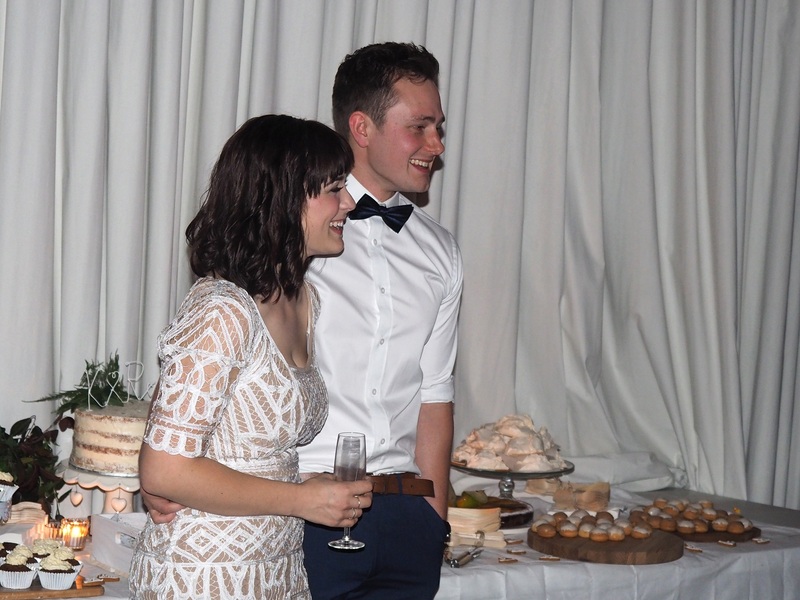 Last night they hosted a lovely party for friends and family to celebrate their marriage. I hope to share with you some of the gorgeous photos of their wedding ceremony soon, but in the meantime I thought I’d share a picture from last night. It’s almost a bit ridiculous how cute they are isn’t it? They are pretty darn perfect together, and it’s really nice to be able to just take a moment to exhale and think about how lucky I am. Ahhh life is sweet. I’m a bit like this tram at the moment… lots of stops and starts, mostly on the move but kinda going around in circles… it’s been busy lately but there’s been quiet moments too… I’ve been doing a bit of nothing and a heap of everything… Let me see if I can catch you up on some of my favourite things shall I? 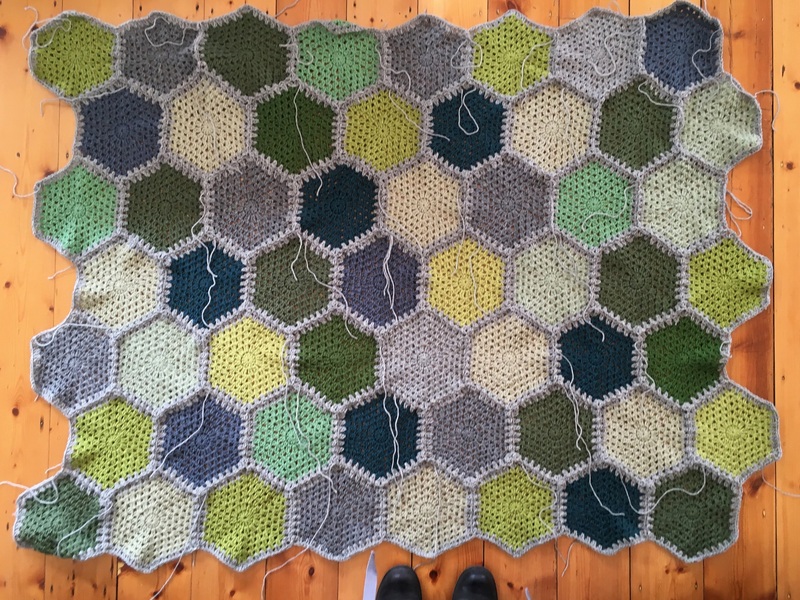 It’s slow going as I’m changing yarn colour every row… look at all those ends!!! I’m trying to figure out a way to incorporate them into the design and I’ve got an idea, I’ll let you know if it works. 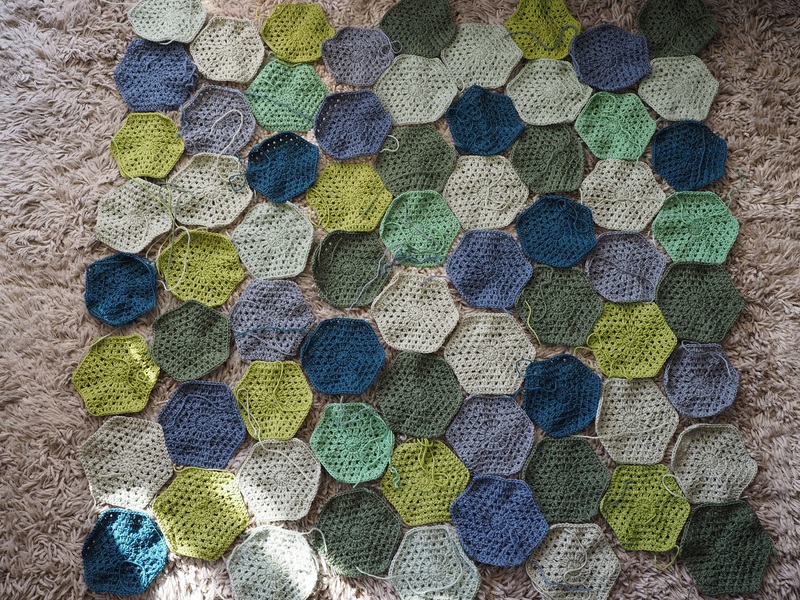 I’m loving the colours together and the pattern is a cinch to remember. It is going to be quite luxurious. 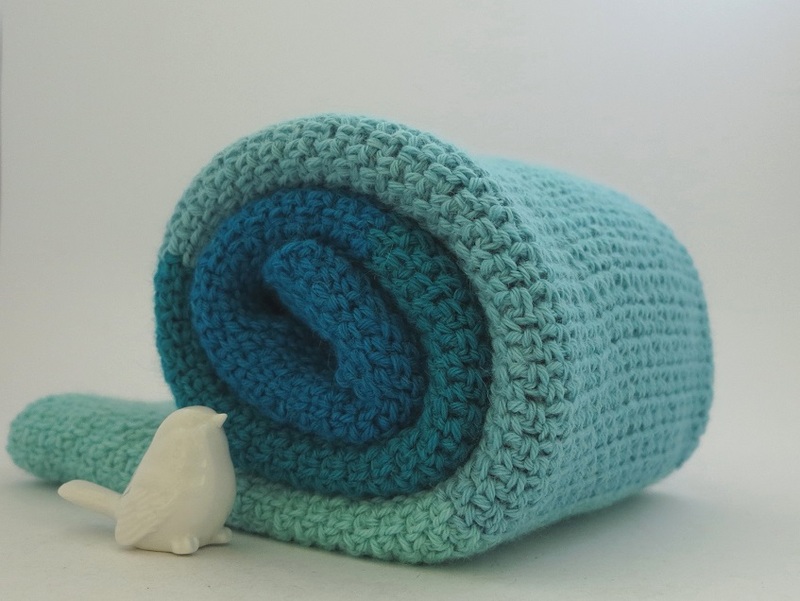 A squishy and soft beanie using two different yarn blends. 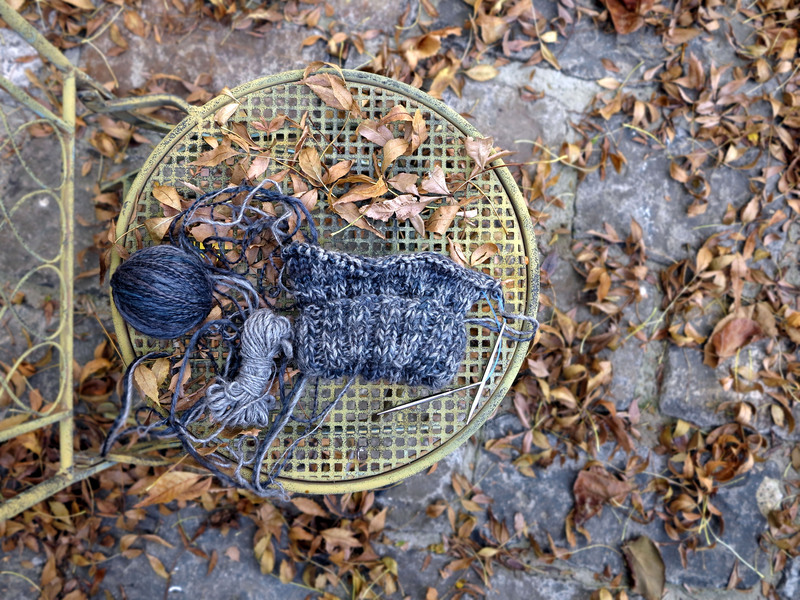 The darker grey is a mix of alpaca, wool and bamboo. The lighter grey is alpaca, wool and silk. 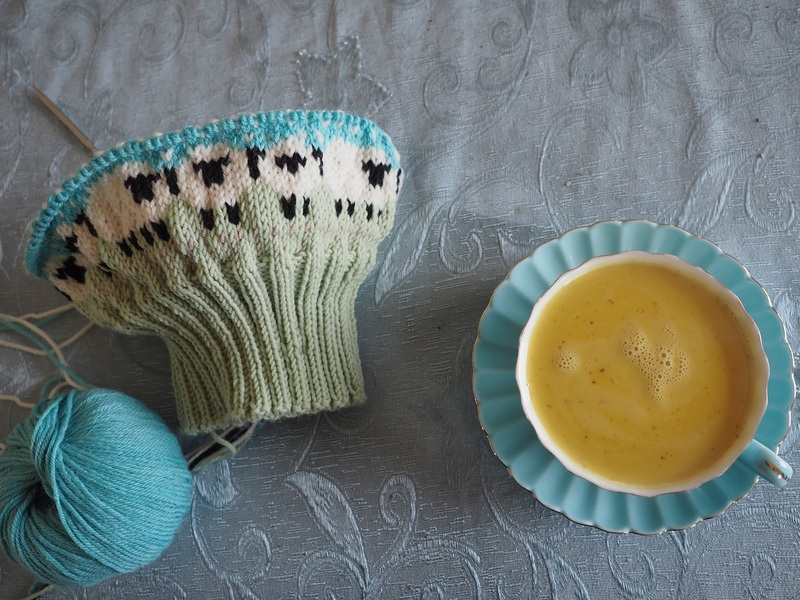 Deliciously chunky and quite the delight to knit as I’m not using a pattern, just winging it. I made a batch of my Allergy Friendly Toasty Fruit Bread the other day, only I made a variation of the recipe. Ha – what a shock hey? 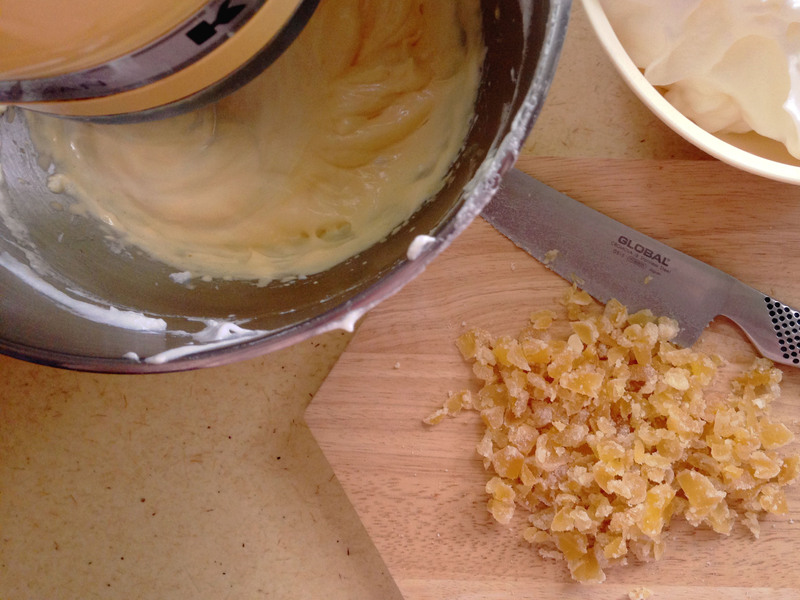 I am a huge fan of ginger so instead of dried fruit I added crystalized ginger. And I was extra generous with the ginger spice too so it turned out a little like a gingerbread bread… kinda… if you use your bread-deprived imagination. Oh and I tried a garlic and herb version too and it turned out a treat. I popped the savoury mix into a muffin tin so I now have little thyme and garlic bread-like muffin things. I zap them for a mini in the microwave and slather too much butter on. Not too shabby at all. I’m listening to a lot of Shakey Graves. I love the way this guy makes music. Both hands, both feet, his voice and his heart. I was lucky enough to see Shakey Graves supporting Shovels & Rope recently and it was the best gig. You know when you see someone doing something and you think to yourself, yep they are doing exactly what they are meant to be doing in life. I really do love my music and discovering new music to enjoy is one life’s sweetest pleasures. I also ate way too much chocolate over Easter but hey, the Bunny made me do it! I love the guilt free chocolate breakfast that comes with Easter. My break was full of good quality chocolate (because I’m a chocolate snob as well as a coffee snob) including a new to me variety of Lindt balls – Caramel with Sea Salt… umm… yummmm… and too much of my fave Willie’s Cacao milk chocolate with sea salt, deadly discovery that one. And to balance out the indulgence of a chocolate filled Easter, I planted some silver beet, chives, cauliflower, broccoli, bok choy and celery in the veggie garden. Am sure the digging in the garden worked off at least one chocolate ball!? So how about you, what have you been up to? More importantly, what’s your favourite Chocolate? Wishing you chocolate filled breakfasts, and music that makes your heart sing. 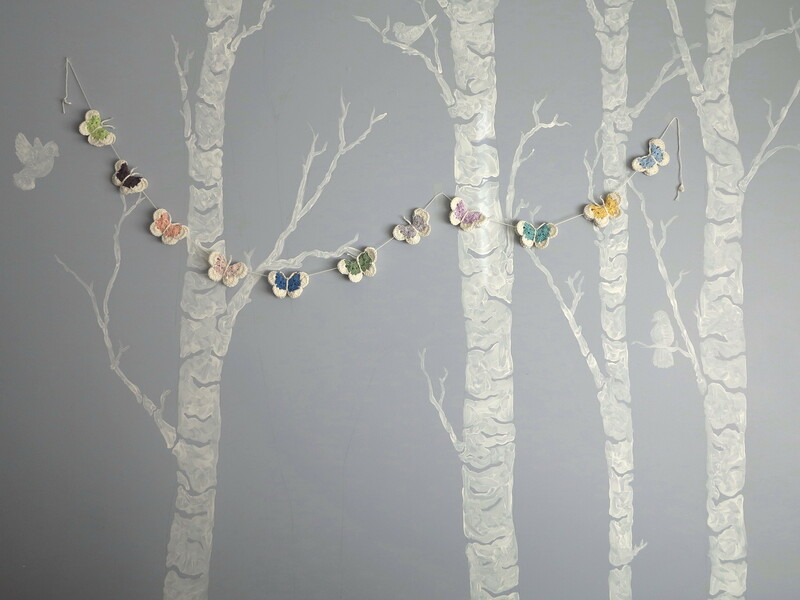 I’ve made lots of butterflies lately, including a custom order colourful butterfly garland for someone special. I had a lovely time playing around with colour combinations, and as I did, fell in love with the idea of creating these Pantone swatch inspired ones. Because who doesn’t love drooling over beautiful Pantone colours? I have made them before here, but the pattern I used seems to have disappeared from the internet. Luckily I had a couple of screen shots on my phone from when I first made them. I thought I’d pop the pattern up here in case you want to make some too? They are pretty easy and would be suitable for beginners. I am using US Crochet terminology. Start with a chain 4 and make a slip stitch join to form a circle OR do a magic loop. Chain 3, then make 2 double crochets. *Chain 1, make 3 double crochets*. 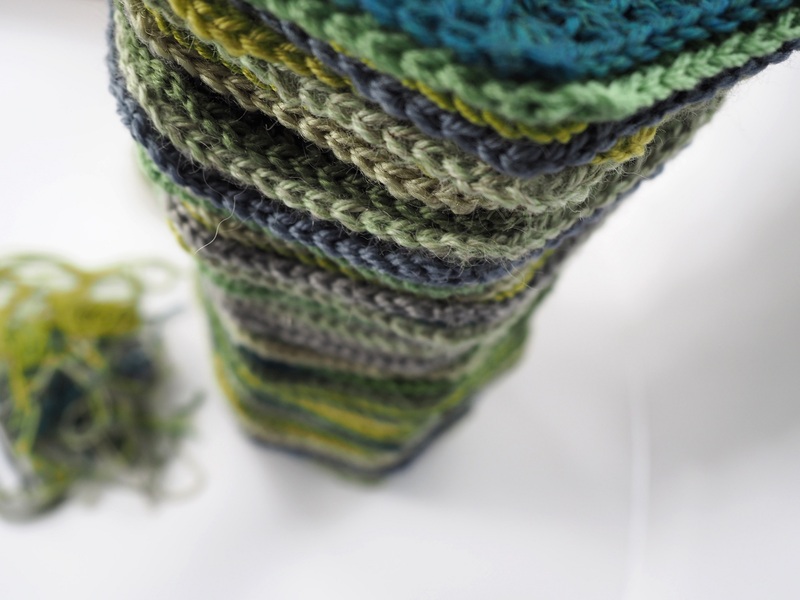 Repeat from * to * until you have 8 lots of 3 double crochet clusters including your first one. 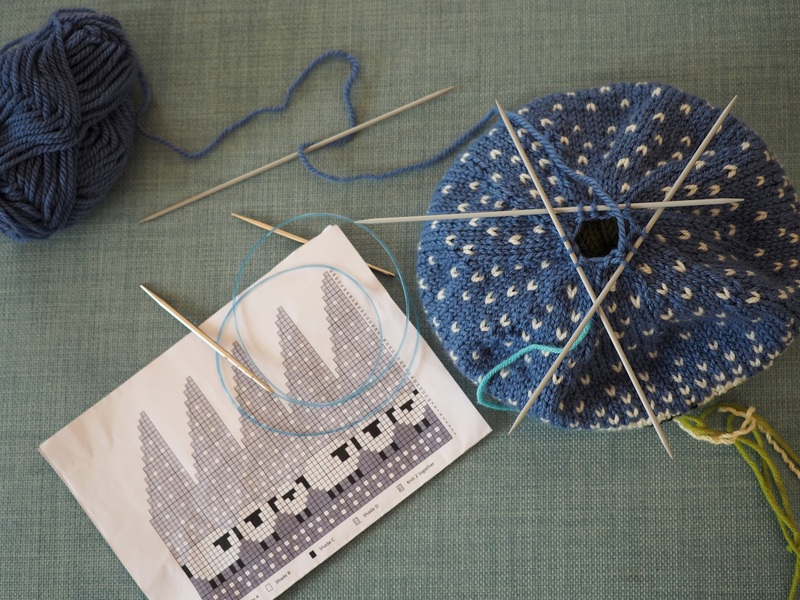 Join with a slip stitch into the top of your first chain 3. Chain 3 and in the next chain 1 space do the following, * 3 double crochet, chain 1, 3 double crochet*. Repeat from * to * in each of the chain 1 spaces until you reach the start of the round where you did your first chain 3. 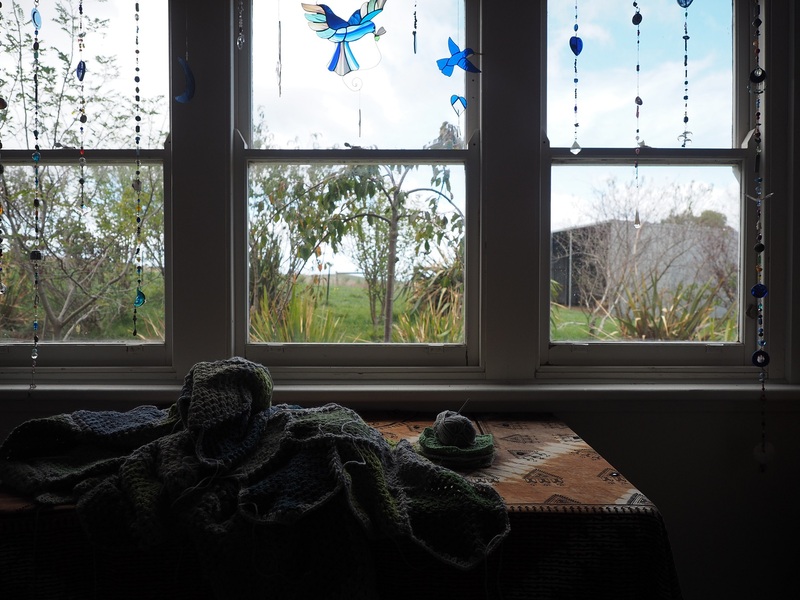 In this space you need to make 3 double crochet, chain 1, 2 double crochet then slip stitch into the top of the chain 3. Fasten off yarn now if you want to change colours. 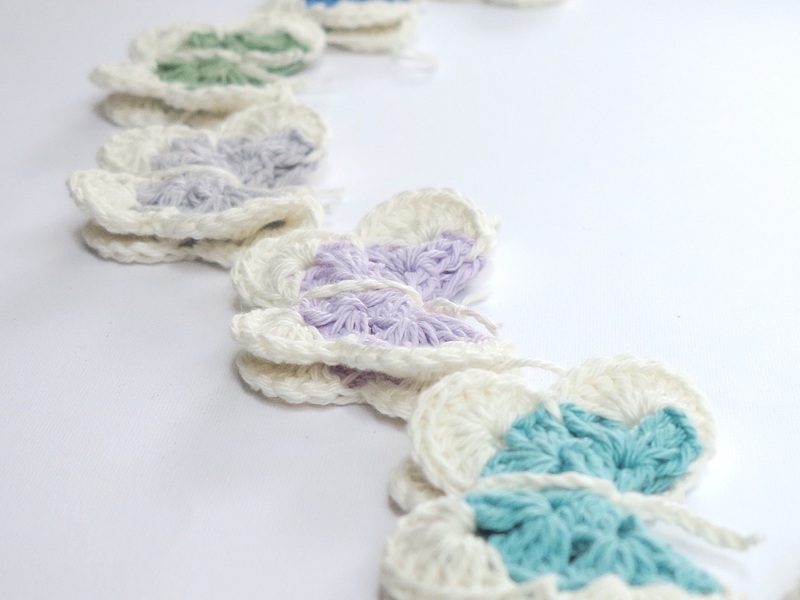 You should have 16 lots of 3 double crochet clusters. Add your new colour into any chain 1 space, chain 3. Slip stitch in between the next two double crochet clusters. 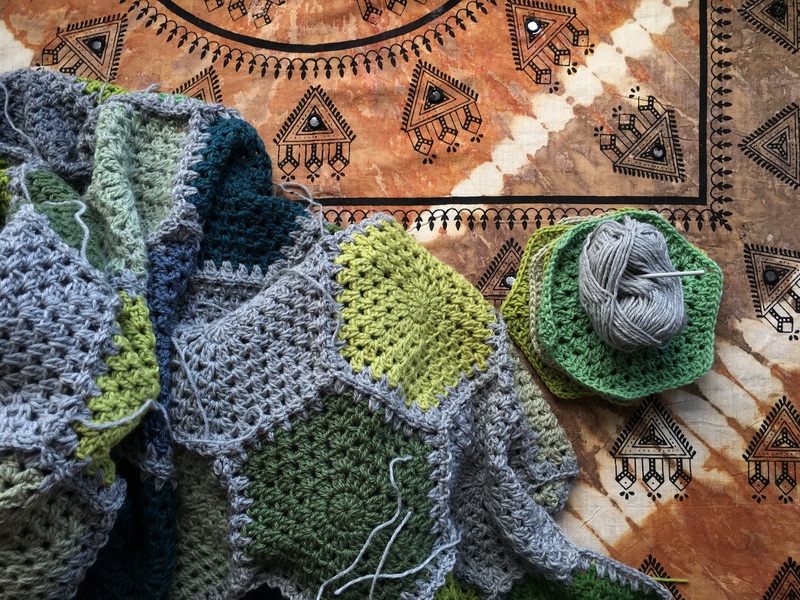 *Into the next chain 1 space, make 9 double crochets. Then slip stitch in between the next two double crochet clusters. * Repeat from * to * until you come to the first chain 3 you started the round with. 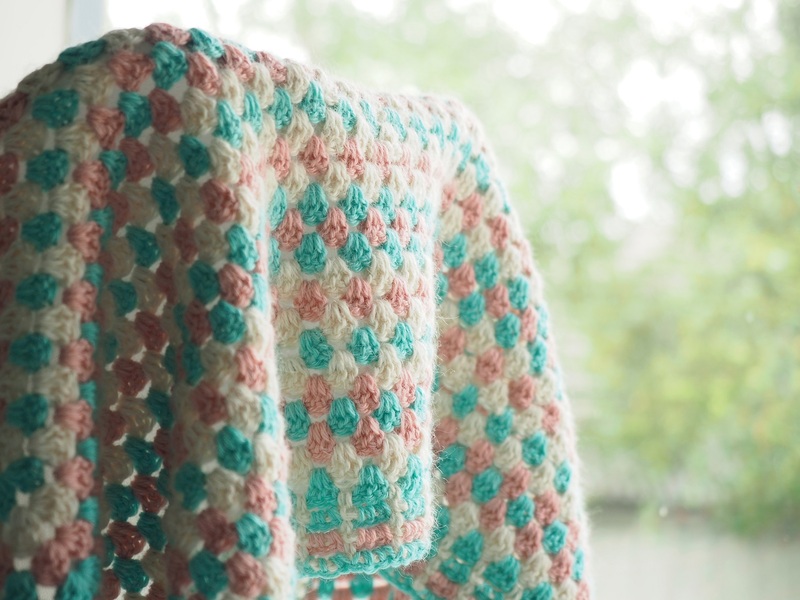 Make 8 double crochets here, then slip stitch into the top of the chain 3. 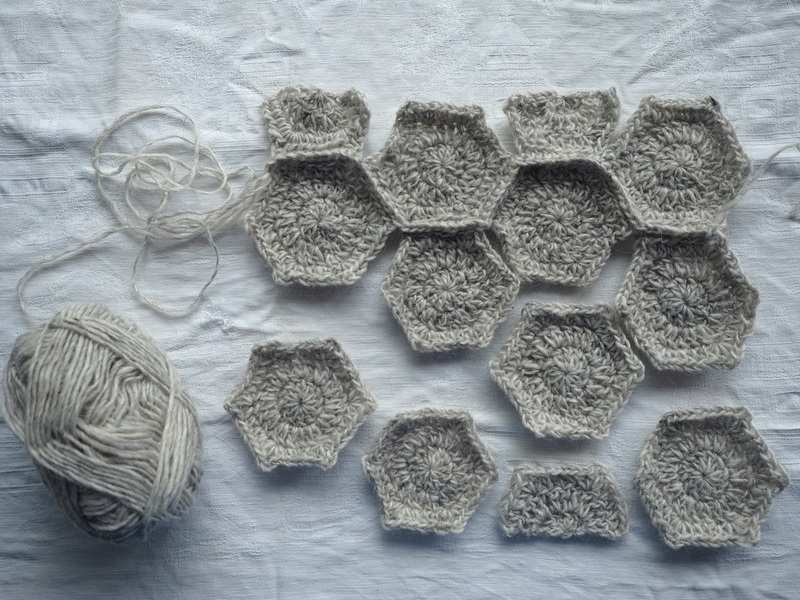 You should have 8 lots of 9 double crochet clusters. Fold your butterfly in half. 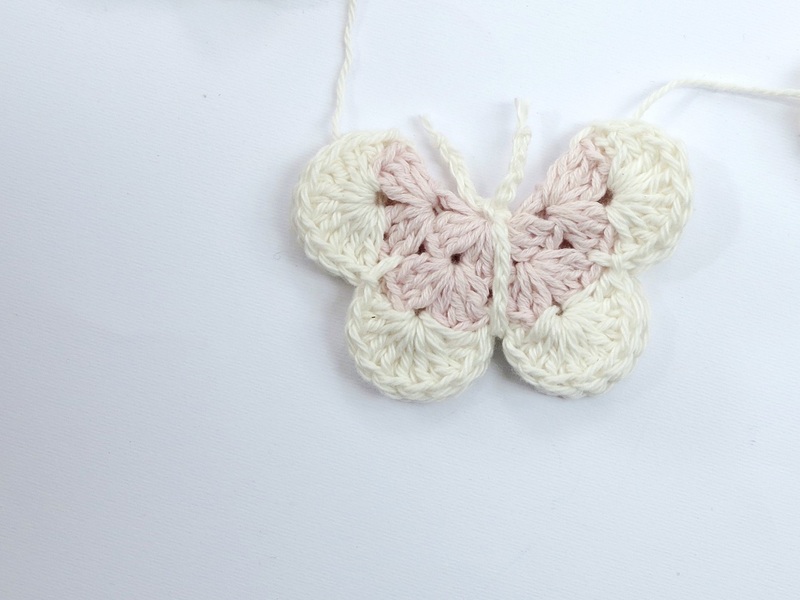 Make a chain of about 24-29 stitches and tie this around the middle of your butterfly with a knot at the top. The endy bit become the butterfly feelers. Darn in all your ends and Voilà, you’ve made yourself a butterfly! 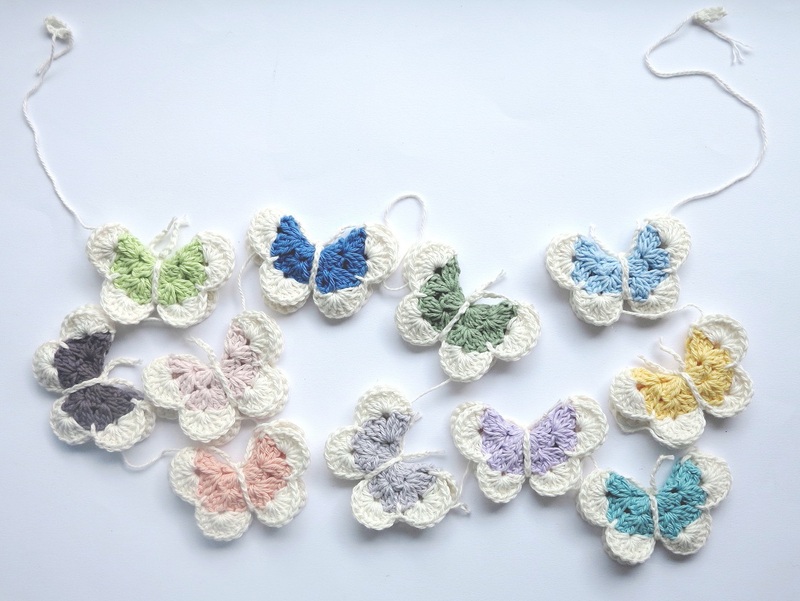 The original pattern said to stitch the butterfly together then stitch in a chain bit at the top for the feelers. But I found it impossible to get a neat consistent stitch line up the butterfly, which made the body look all lopsided. I found my little chain method much neater, but feel free to do the stitchy bit it you like. So are you going to make one? Do pop back and tell me if you do won’t you? Wishing you happy making, and pretty flutterby days full of all your favourite Pantone colours! Hello, are you well? How’s 2015 panning out so far? I hope it’s been kind to you… it’s been rather blue for me… in a crafty way… I’m so boring consistent with my colours. 100% pure baby alpaca, crochet. 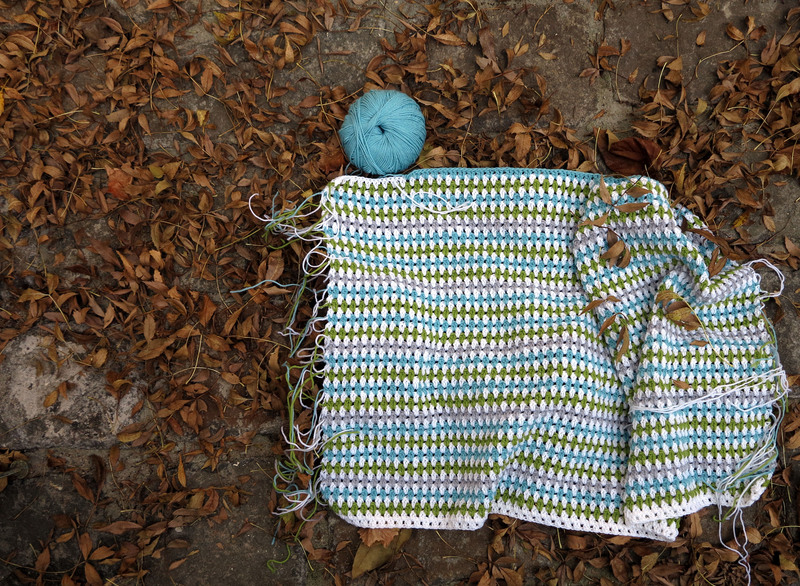 This is the finished blankie that I started back here. 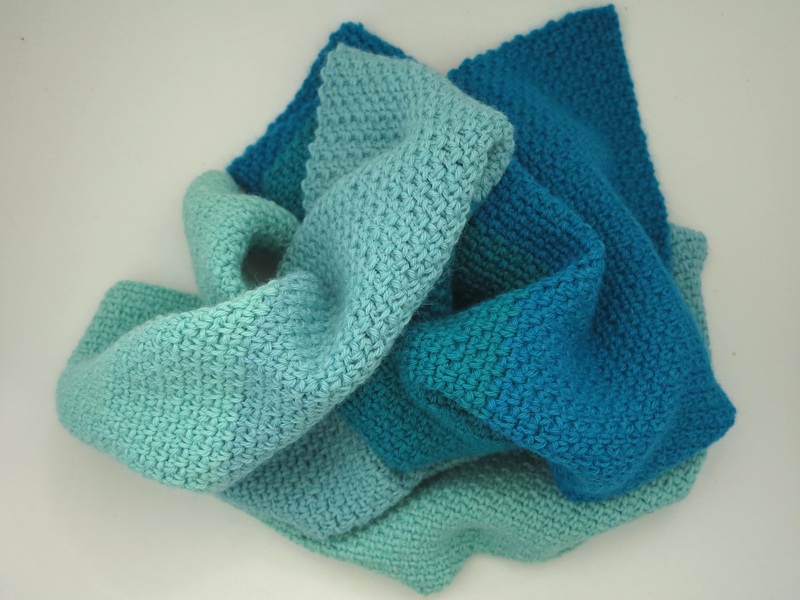 It’s a big feathery pile of squishy soft blue, aqua, teal and mint. My favourite wedge of the colour wheel. 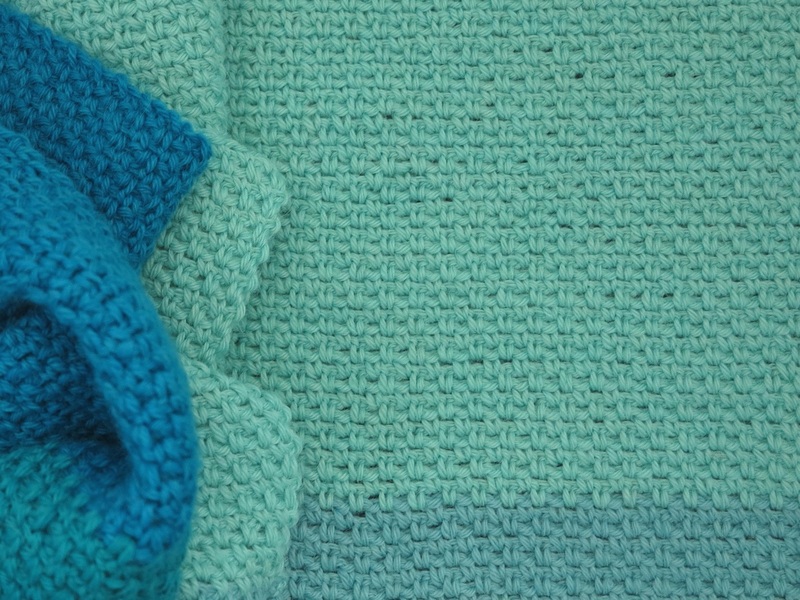 And this stitch is absolutely my favourite crochet stitch at the moment. 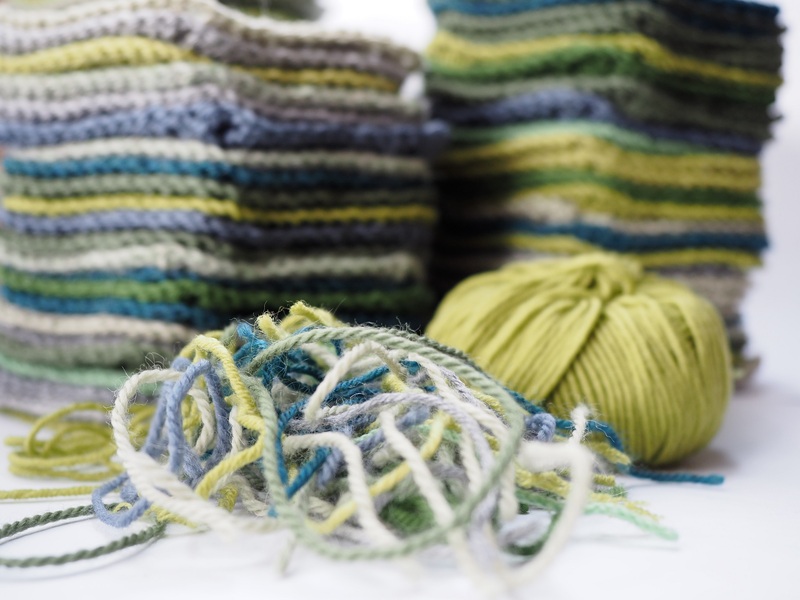 I’ve seen it referred to as moss stitch, seed stitch, woven stitch and others, but I call it woven stitch and used this fab little tutorial here to get me started. 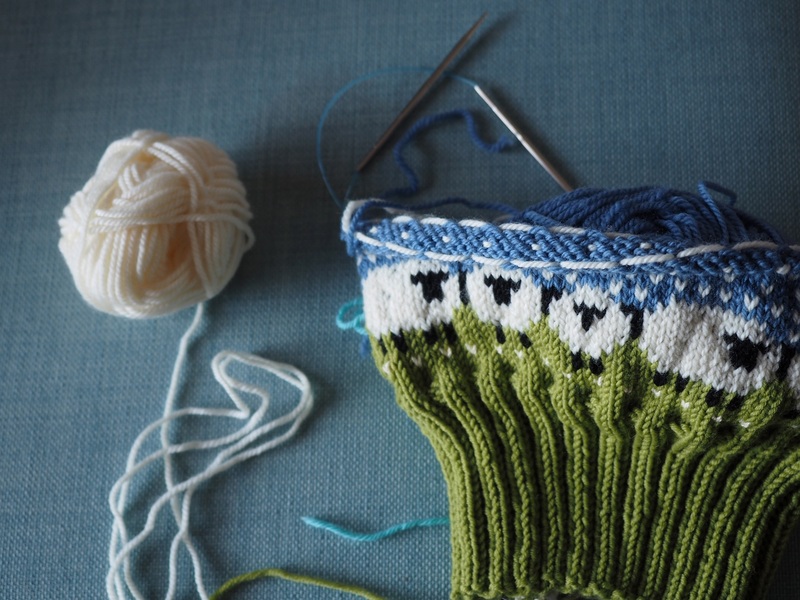 It’s such an easy stitch to remember and I love the way it produces a look somewhere between weaving and knitting. 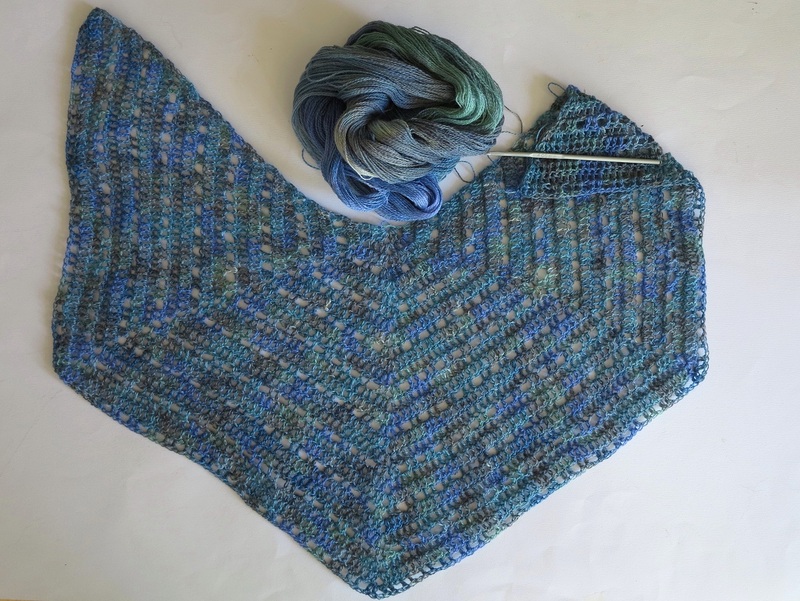 This is going to be a shawl… eventually… I hope… There’s some yarn chicken going on with this project so it could be a different colour by the time I finish it too. 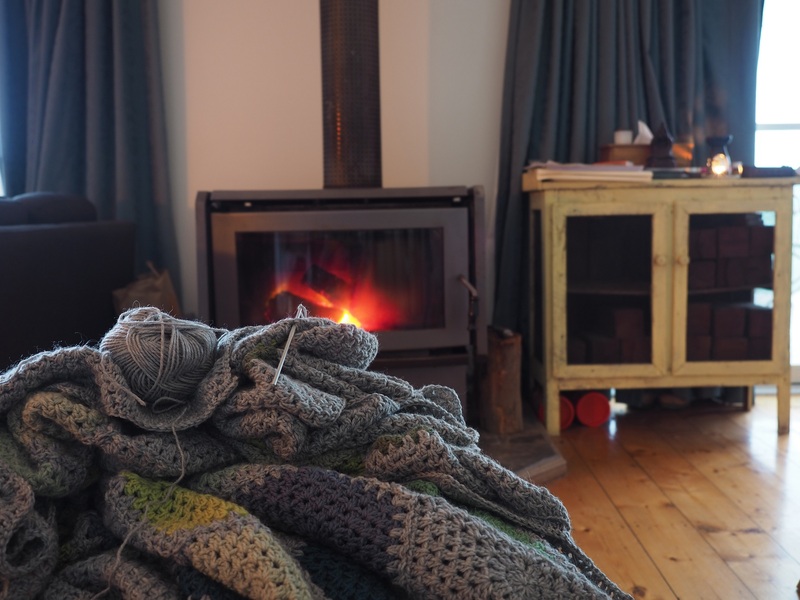 I found this easy free pattern here and I’ve had this gorgeous yarn for ages. 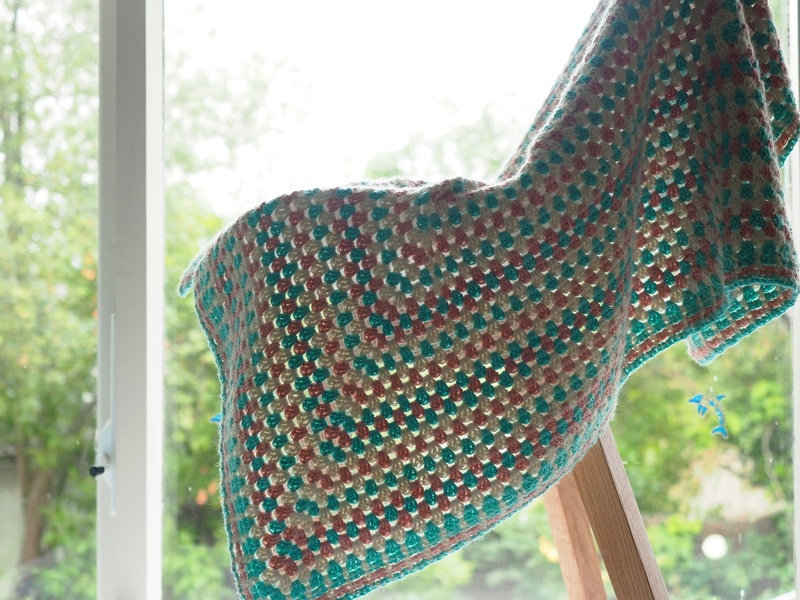 The pattern is a simple 3 row repeat producing a lacey type look as it’s a big fat hook (4mm) with fingerling weight yarn. 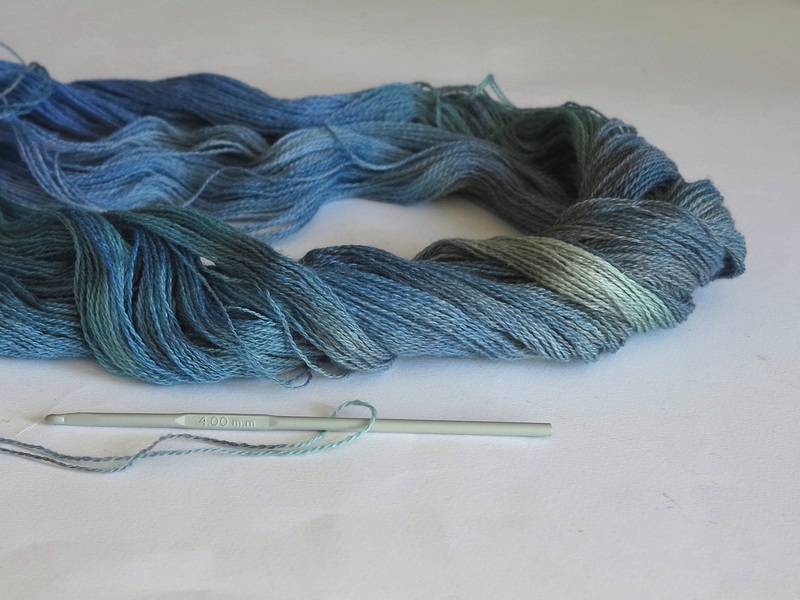 This yarn is 50% silk 50% wool, hand painted and the colourway is called ‘North Wind’… cute huh?! It’s beautifully luxurious, I especially adore the colour variation and the gentle sheen that the silk adds. Way back I made a scarf with this yarn which I’ve since sold in my Etsy Shop. I think I’ll be keeping this shawl though… says she who has never worn a shawl in her life and happens to have to another half finished shawl stashed away waiting to be finished! 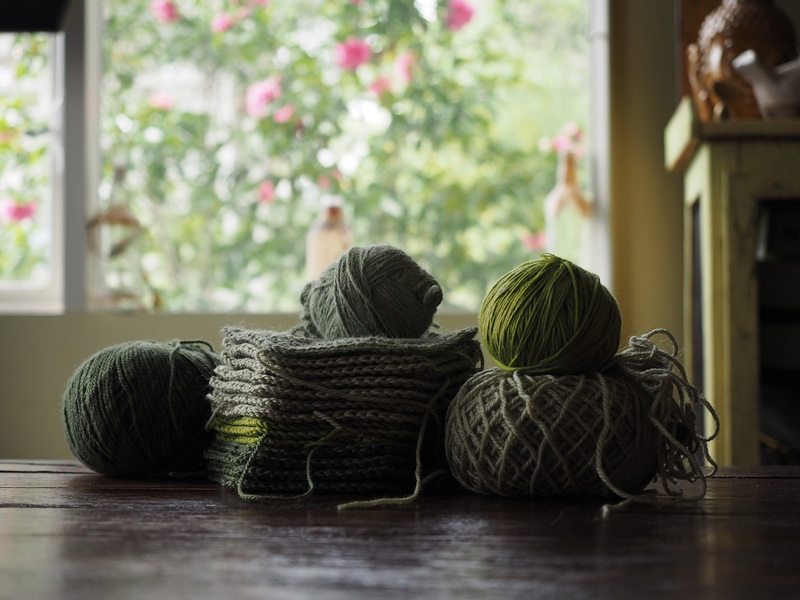 I just loved this post from the lovely Kate at Foxs Lane about exactly that – half finished crafty projects. My ‘excuse’ for the other half finished one is this… Black Knight, the black alpaca, had to grow more of his luscious black fibre, this has to be then be spun before I can purchase it, and hopefully finish the unfinished shawl. If you follow me on instagram you’ll know how much I’ve been spamming my feed with our Dove Cottage Harvest. Our humble little veggie patch is going great guns and we’ve been enjoying so many healthy fresh organic greens like this silver beet. And if you just went eewwwww, then please hear me out. Purchased silver beet from the shops may as well be a different vegetable altogether. Fresh picked baby silver beet is sweet, not bitter, and almost dissolves in your mouth – so not chewy like the shop stuff can be. It’s truly delish! And of course one the easiest things to grow ever! I just came inside from taking these two photos, and to my delight spotted the first of our butter beans. Crunchy juicy sweetness… I had to test one! 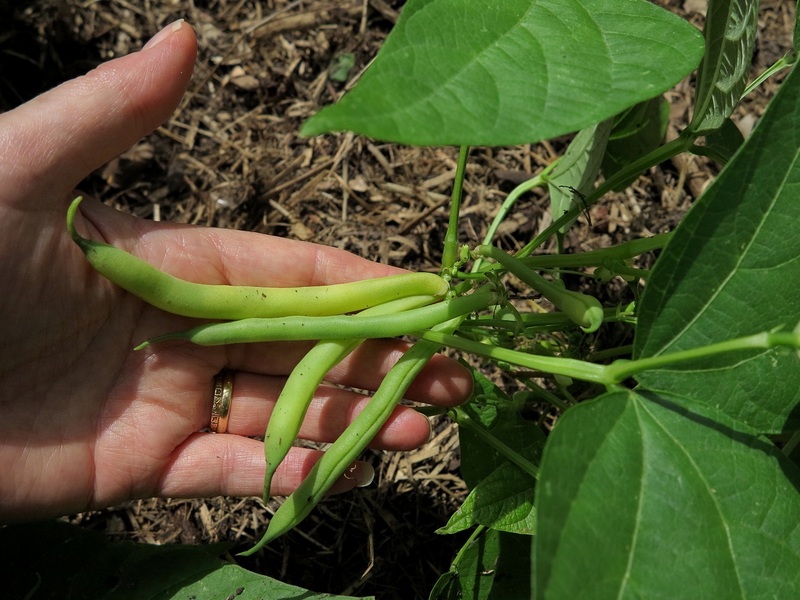 We have been eating heaps of the regular green beans though, I’m thrilled with how much a couple of seeds have produced. As well as the beans and silver beet, lately we’ve been enjoying lettuce, zucchini, (monster) squash, and fresh new potatoes. 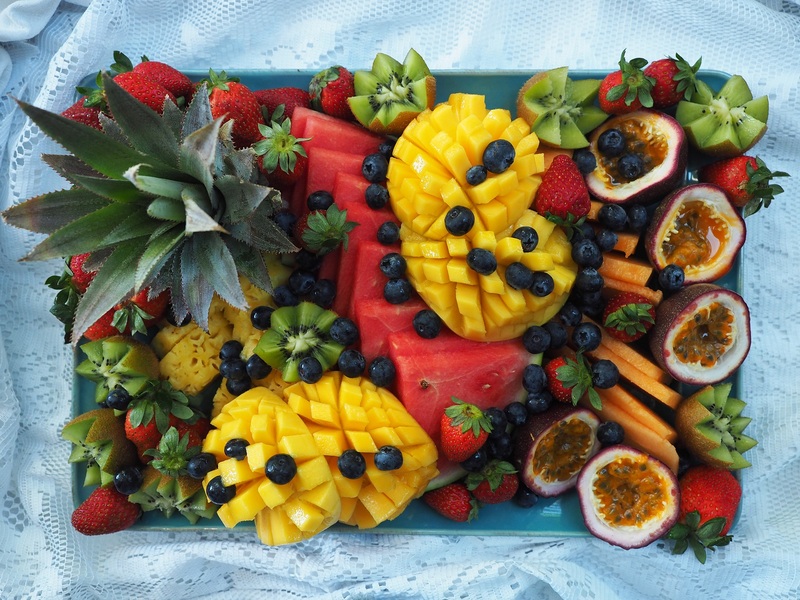 Seriously my mouth is watering just typing that! I know it’s cliché and all that, but growing your own veg is so rewarding and delicious! 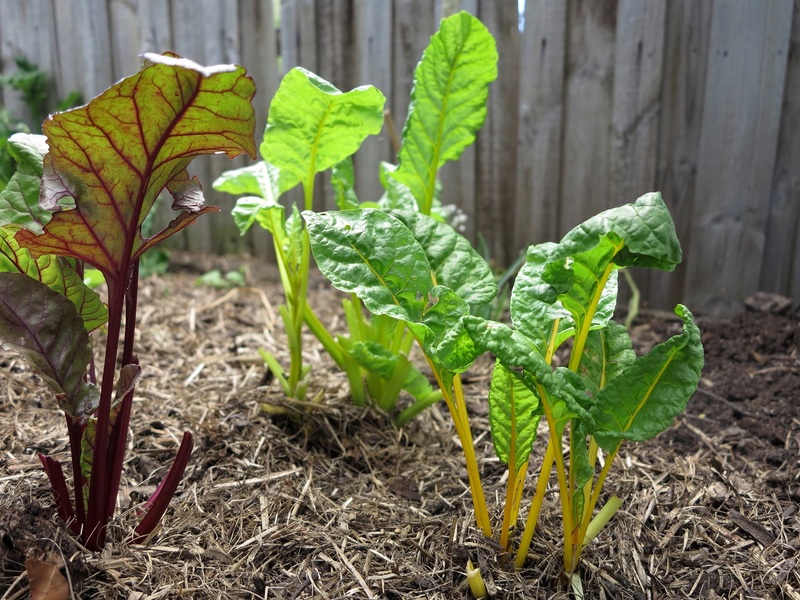 If you’ve ever thought about doing so… but just not got there… find a teeny little corner in your garden, or get a big pot on the verandah, and plant something easy like silver beet, radish or lettuce. I swear you’ll be hooked in no time! 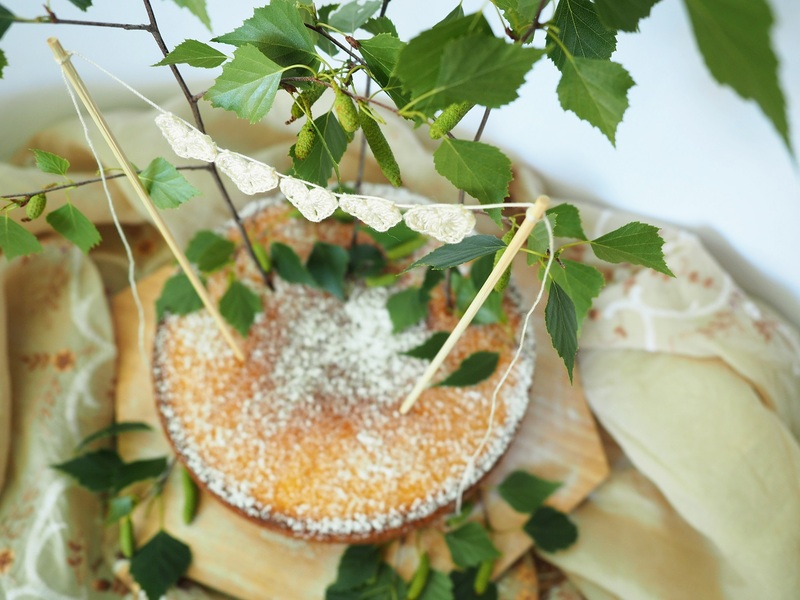 Wishing you blue skies and delicious greens to eat… see you soon for dear monday.